Item No. 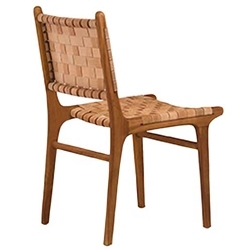 369 Mid-Century Modern style Teak Chair with interwoven suede back and seat. A streamlined utilitarian dining or office chair.